Since 1970, the St. Mary Medical Center Foundation has worked to raise funds and cultivate other resources to support life-saving programs at St. Mary Medical Center. Our Board of Trustees and our staff seek to encourage awareness of the ongoing needs of our hospital, and to assist St. Mary in attaining its goals and objectives. The St. Mary Medical Center Foundation’s Board of Trustees is comprised of 50 community leaders and physicians who are dedicated to providing the excellent medical care which St. Mary has been so proud of for over 90 years. Through ongoing campaigns, annual appeals, special events and generous unsolicited contributions, the Foundation is able to fund capital improvements, equipment, programs and services, research and education at St. Mary. The mission of St. Mary Medical Center Foundation is to foster a higher level of care and steward philanthropic support for the community healthcare missions of the Sisters of Charity of the Incarnate Word and Dignity Health - St. Mary Medical Center. 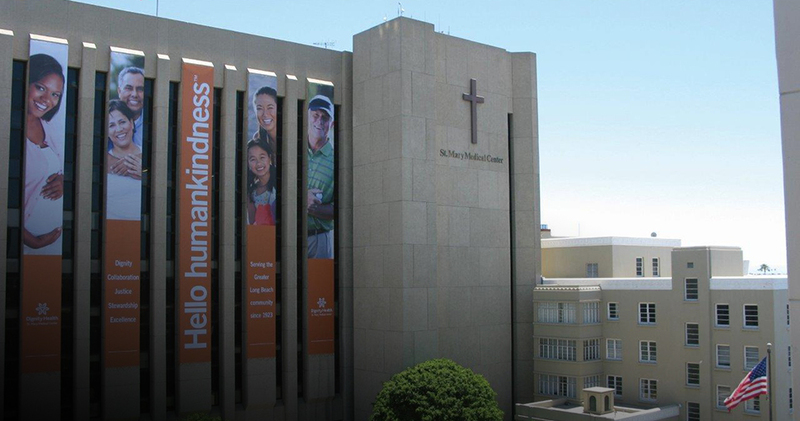 St. Mary Medical Center became a member of Dignity Health, formerly Catholic Healthcare West, in 1996. Delivering compassionate, high-quality, affordable health services. Serving and advocating for our sisters and brothers who are poor and disenfranchised. The St. Mary Medical Center Foundation will be a model for healthcare foundations, engaging our donor community to create philanthropic partners in support of St. Mary’s vital healthcare mission with the many people touched by the missions of the Sisters of Charity of the Incarnate Word and St Mary Medical Center.